Greywater Harvesting Systems collect and treat waste water from sinks, showers, dishwashers and washing machines for reuse in irrigation, toilet flushing and evaporative cooling applications. 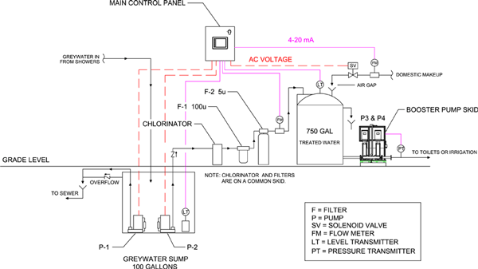 Innovative Water Treatment is a design-build firm specializing in custom commercial systems for harvesting rainwater, greywater and other on-site water sources for non-potable uses like toilet flushing, irrigation and evaporative cooling system make-up. 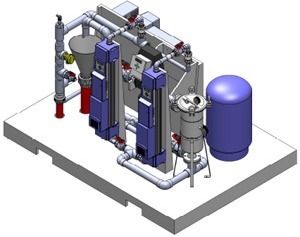 We provide consulting and system design services to engineers and architects and then deliver systems that are preassembled, certified and tested on skids for installation by local contractors.